Great news for all PTPTN loan borrowers. PTPTN is now offering 20% discount who repay their loan in full. Although it is probably not many who will be able to take up this offer but for those who can afford to pay in full this is a great opportunity for you to settle your loan with PTPTN. This offer is to encourage loan borrowers to settle their debt immediately if they repay their loans in full by 31 March 2015. Furthermore, those who cannot settle the amount in full can still enjoy a 10 per cent discount off their loans if they make continuous payments for 12 months until 31 December 2015. 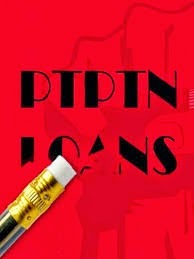 Since its establishment, PTPTN has been offering flexible loan repayment schemes, and despite the overwhelming number of loan defaulters, the organisation has been tolerant until recently, when they finally decided to blacklist those who have no plans of repaying their debt. As of 31 August 2014, only RM5.36 billion (46 per cent) of RM11.76 billion has been collected.